Hi guys, I have to declare I'm not lazy to take photos shoots for my outfit of the day. It's just the bad weather in the UK these days that prevented my from taking good quality photos. I feel ashamed that I have only posted 2 of my looks on my blog, but that is the reason. 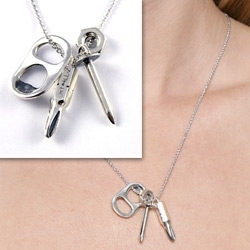 Anyway, so I was browsing through a number of funny necklaces today and here's what I found. 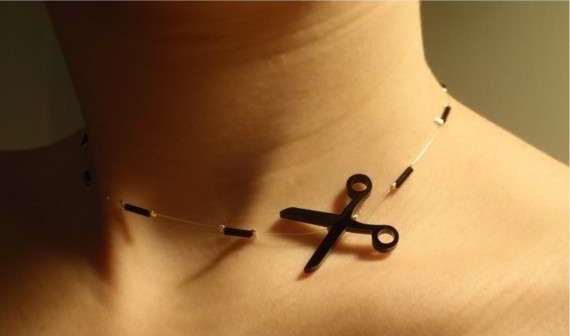 What do you think about having a cutting instruction around your neck? Designed by Benoit Patoureaux from Art Lebedev Studio. 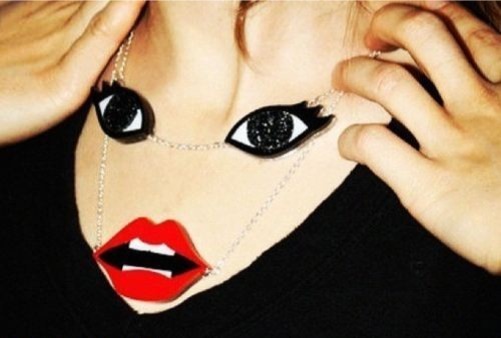 Wanting a funny tattoo on your neck? Maybe it can save you from doing something you might regret when you grow old (LOL). As funny as it is, it also comes in the form of bracelet. But what if you do not have the budget to buy one? Here's an idea for DIY. have substituded verbs we use in the past and taken up important roles in our lives. 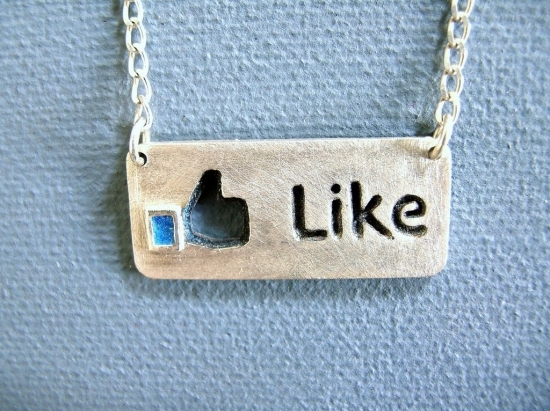 So, why not put up a necklace like this so that everyone would 'LIKE' you when they saw this! Otherwise, showing a 'shocking face' on your chest is another good way to attract people's attention. You know how peeping women's underwear is always men's taboo? Make it bold by wearing the lingeries to a party, and allow men to take a good look at your wonderful collections. Environmentalists nowadays always talk about recycling. So we girls are ready to recycle can-rings, nails and other sorts of junks. Having thought of bringing ice cubes out to the heat in summer time? 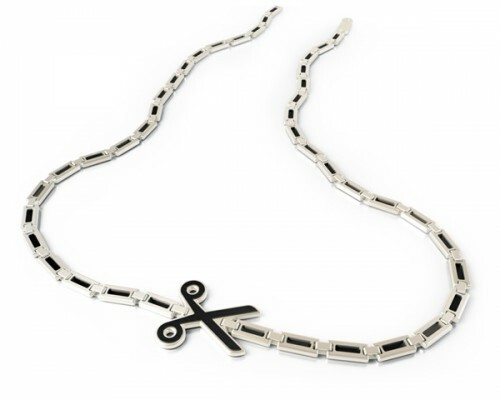 This chunky necklace has got style and is practical. 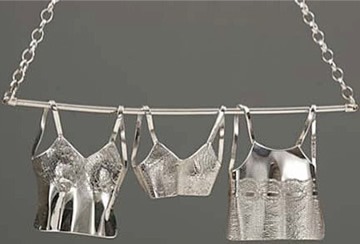 immediately to cool you down, how sweet it is to have a melting ice-necklace on your chest. I think this is the Best DIY Ever (lol). Anyways, hope you have enjoyed all these amazing ideas.